Jamie Otremba will delve into the most common obstetrical emergencies presenting in today's obstetrical patients. She will provide you with a comprehensive look at pre-eclampsia, eclampsia, HELLP, the pitfalls of diagnosing and treating preterm labor, shoulder dystocia, abruption, previa, postpartum hemorrhage, VBACs, and inductions. Jamie's extensive experiences in high risk obstetrics have provided her with keen insight into these often challenging and frightening situations. She is eager to share with you many of the effective interventions that she has acquired throughout her career! Through case studies, persuasive evidence-based research, and an engaging presentation style, she will teach you current trends, treatments and issues in high risk obstetrics. Attend this seminar to learn new strategies and techniques that can immediately impact the maternal and fetal outcomes of your obstetrical patients! Explain the two-phase process that results in pre-eclampsia. List the criteria for the diagnosis of preterm labor and compare the pharmacologic management options. Identify the two most important factors in assessing risk in elective induction. Explain the most effective way to change medical staff practices related to high-risk elective inductions. List the 4 possible causes of a post-partum hemorrhage and appropriate management for each. Discuss strategies for collaborative care with the ICU and Emergency Department. Explain why a d-dimer is no longer recommended as part of the evaluation for pulmonary embolism in pregnancy. Describe the latest ACOG recommendations for preventing blood loss during the delivery with an accreta. List the varying degrees of abnormal placental implantation and how management might differ for each. Explain why neurological outcomes with AFE are so poor and the rapid interventions that could make a difference. Jamie Otremba has over 20 years of maternal child nursing experience and is currently practicing full scope nurse-midwifery at a progressive OB/GYN clinic in suburban Minnesota. Jamie has been active in program development and benchmarking in both clinic and hospital settings. She is also one of the medical directors for the Women's and Children's Service Line at a large hospital and medical center in Minnesota. Jamie served as an assistant professor at Minnesota State University and has practiced in women's health care in a variety of settings, including: labor and delivery, postpartum, antenatal, and community health nursing. 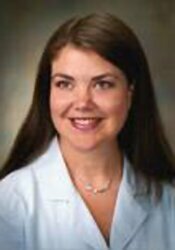 She has consulted for area health care facilities on clinical and legal practice topics, and she continues as an investigator for several medication trials pertinent to obstetric and gynecologic issues. Additionally, Jamie has enjoyed sharing her vast knowledge and experiences as a preceptor for both medical and advanced practice nursing students. Financial: Jamie A. Otremba has an employment relationship with a private women's health clinic. She receives a speaking honorarium from PESI, Inc.
Nonfinancial: Jamie A. Otremba is a member of the American College of Nurse Midwives; and the American Congress of Obstetricians and Gynecologists.